Are you one of these people who always struggle before waking up to work? Do you press down that snooze button at least 3 times before actually getting off the bed? Ever rushing for that last few minutes to clock-in at work? 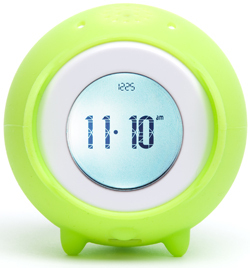 Here are some new alarm clock gadgets that might extremely annoys help you to get through that morning sleepiness. 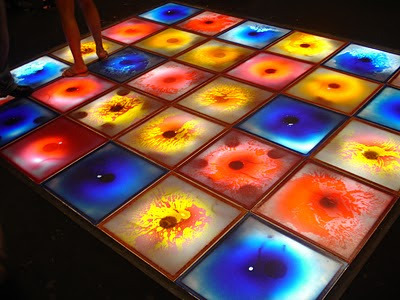 Don't be fooled by its cutesy design, see below video demo and you'll know what I'm talking about. This is truly an alarm that you have to chase around in order to make it shut up! Definitely a much more peaceful option. 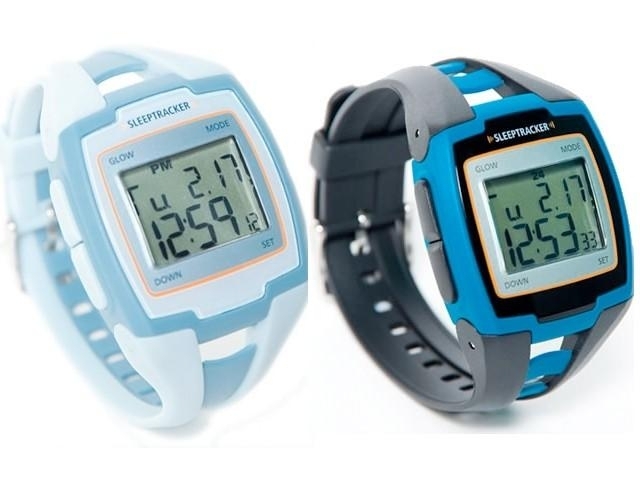 This watch will record your sleeping pattern, analyzing the ideal way to wake you up gently by generating different levels of vibration. 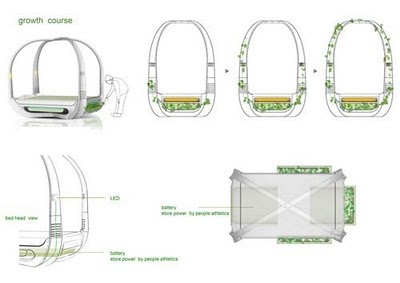 Its "humane" design will first try to wake you up by only a slight vibration. As time goes by, heavier force kicks in and you will have to be conscious for a while in order to get rid of this watch. One definite benefit? At least this silent alarm will only wake you up instead of all your neighbors. Sound effect selections: Mooooo, Baaaaaaa, Cluck! Don't underestimate the power of farm animals. The sound was way louder than real life animals. See this video link and you'll know what I'm talking about. Just like the $ sign on these twin devils' heads. 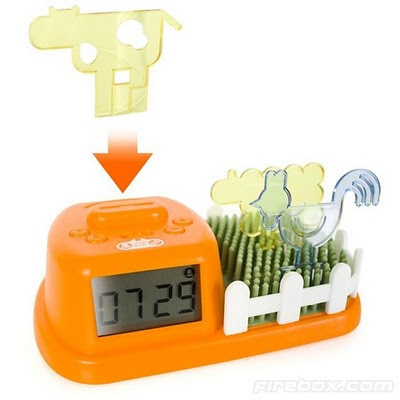 So far they are the most money-sucking evil alarm clock! Snooze means nothing here. The alarm won't go off unless you feed this alarm clock some coins. Losing money or waking up, it's totally up to you. 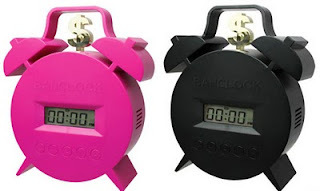 Try out these annoying things, maybe you'll never be late for work again! Warning: Please do not toss the new alarms out of the window. Japan was struck by an 8.9 magnitude earthquake at about local time 2:46 P.M. Friday. 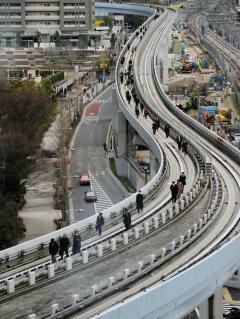 Sendai city, inhabited by over 1 million people was the closest heavily populated city to the epicenter. The city was severely damaged. About 15 minutes after the initial big shock, huge tsunami poured into the city, pushing down power lines and houses like they are merely toys. Severe damages have been reported throughout the area. Even the famous Japanese landmark Tokyo Tower, located approximately 188 miles away from Sendai is now tilted. The death toll is still climbing. Hundreds of tsunami victims have been found scattering along the coast of Sendai. There are also numerous people reported injured or missing. Major public transportations and local highways have been closed or evacuated. 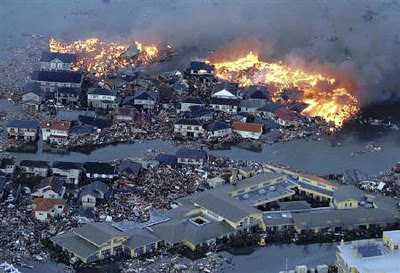 The tsunami also further travels down to other parts of Japan and regimes like Taiwan, Hawaii, and U.S. West Coast. Hokkaido, located on the northern part of Japan has already reported being hit earlier today, causing cars and ships being swept away from the shore. Japanese officials are currently trying to cool down one of the nuclear power plant. 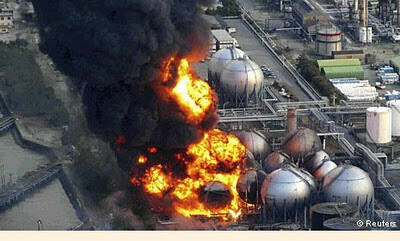 Over 2,000 residents around the plant have been evacuated for safety reasons. So far, potential leaking is yet to be detected. The ground is shaken and the land is swept by tsunamis. However, our faith remains strong and our willingness to help will help the people overcome this tragedy. 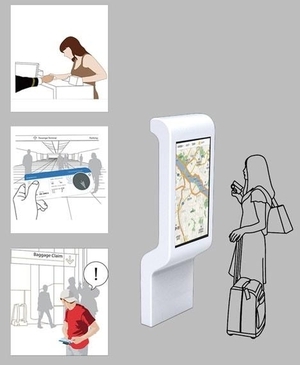 Some Interesting Innovative Products...What's Next? There are millions of new product ideas each year. The speed of new product developments or idea generations has been growing faster than ever. This phenomenon can be attributed to advanced technology that makes physical and informational transmissions happen in less and less time. The following are some of the innovative products that can be implemented mostly in a home/office setting. Let's see if any of these new "things" surprise you! 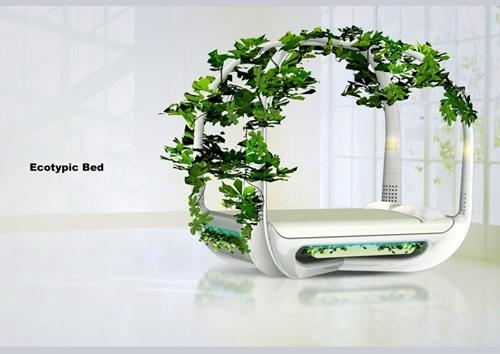 Futuristic-looking bed with a green concept in mind. You can grow plants underneath the bed. As time passes by, the plants, especially vines will gradually climb through the edges, making you feel like sleeping in a garden. And don't worry about the carbon dioxide emitted by the plant at night. This bed comes with LED light that shines gently at night, making the plants continue to disburse fresh oxygen while you're soundly asleep. 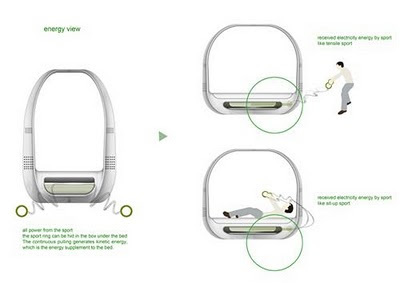 Ecotypic Bed also comes with radio and battery charging system. While using the sport equipment attaches to the bed, you're not only working out the fat, but also generate man-power energy for this amazing bed! These mostly PVC-made tiles come with a hollow center, where colored liquid and decorative materials can be inserted in the middle. 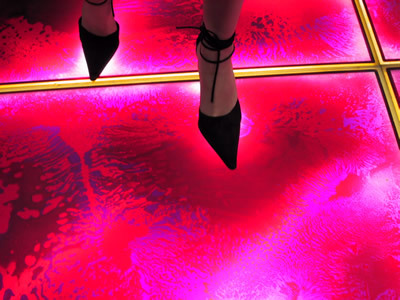 The color presentation varies depending on how heavy and where the weights are applied. The idea was out few years ago but the use was mostly limited to entertainment-related public space such as clubs and restaurants. 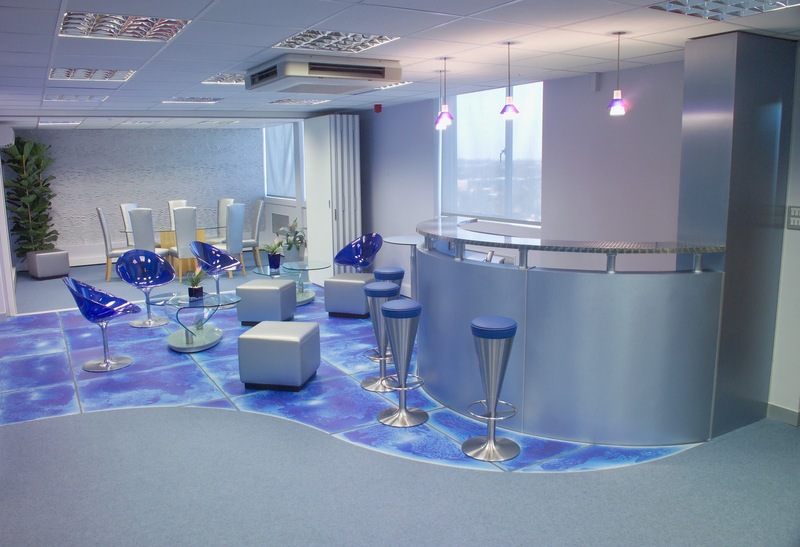 However, liquid floor tiles gradually gained its acceptance and started to appear more often in office spaces and modern homes. Ever feel lost in a foreign airport? Well, with the help of this GPS-like boarding pass, travelers will never be running around trying to find their terminals again. 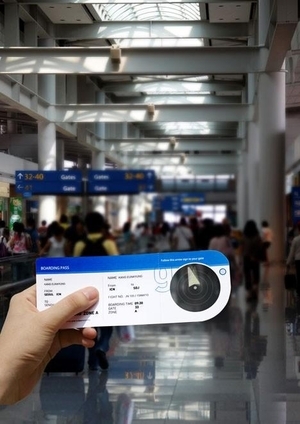 This boarding pass also provides travelers information such as destination weather condition and popular tourist spots updates. 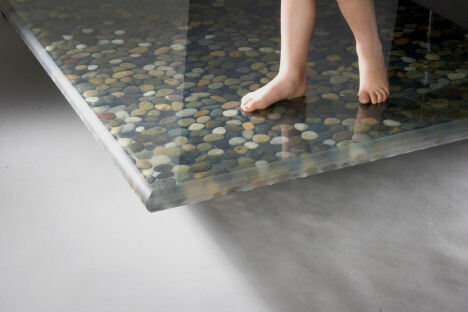 What a thoughtful design! 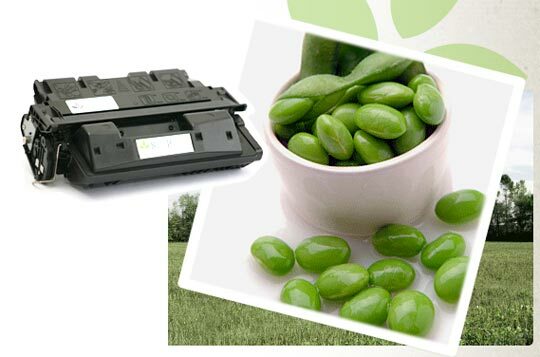 No no no, soy-based toner cartridges generally describe toners with a good percentage of materials made from soy beans. This is a more environmentally friendly version of regular printer toner cartridges. Its bio-degradable property is good for most of the recycling facilities. What's even better? It makes some post-consumption paper more recycle desirable. The reason is that the once petroleum based ink residue has switched to soy bean oil based residue. Toner-Spot is currently working on empty toner cartridges recycling program. We believe in quality remanufactured toner cartridges especially it helps conserving energy used in manufacturing brand new toners. 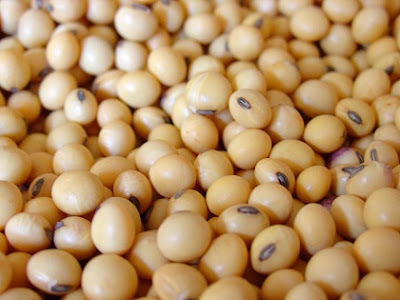 Meanwhile, we are also researching on a more cost efficient program for our customers who prefer soy-bean based products. Together, we can make this environment a better place to live with a little bit help of these innovative product ideas!